We are now a Partner/Provider of the popular 54” x 70” Woven Blanket. It is large and impressive, yet soft to the touch. 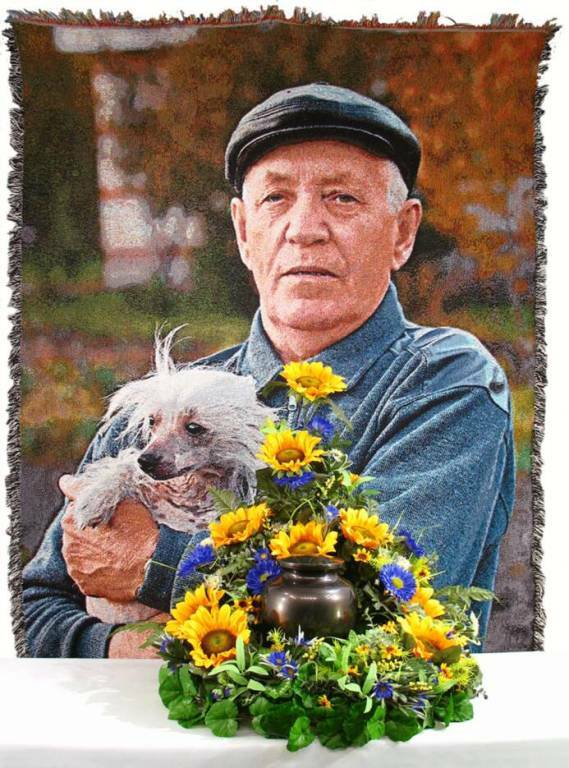 The blanket is easily hung at a viewing on a floral display rack or draped over a casket. 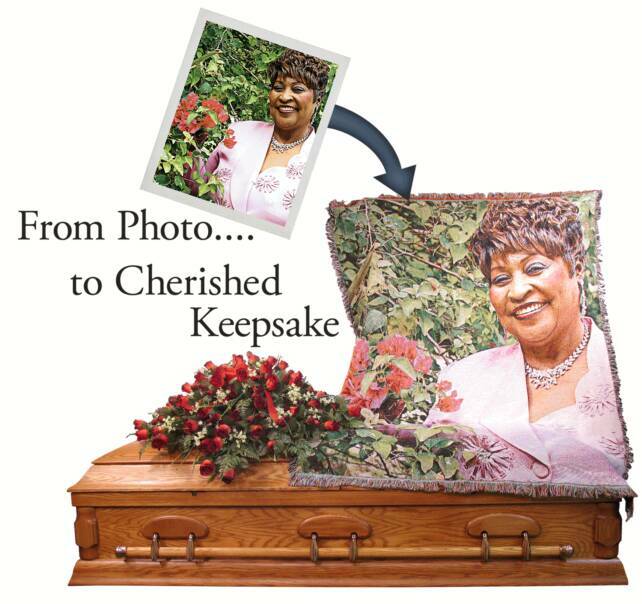 Our photo blankets also make great tribute displays for cremation memorials.